President of Jacuzzi-Brazil until 1979 when the Jacuzzi family sold the business (and the name) to a large corporate conglomerate. 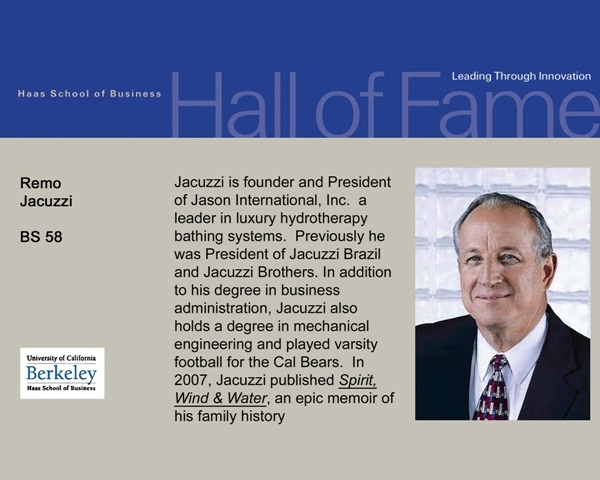 He remained as president of Jacuzzi Brothers until 1982, when he founded Jason International, Inc.
Inductee to the UC Berkeley, Haas School of Business Hall of Fame. Remo has earned the term of endearment "Mr. J" by his family of employees. He is the only person working in our industry that can claim to have been there at the industry’s beginning and has continually worked to improve hydrotherapy bathing throughout his career which has spanned 50+ years. He is known for his mantra “Success is in the details”. 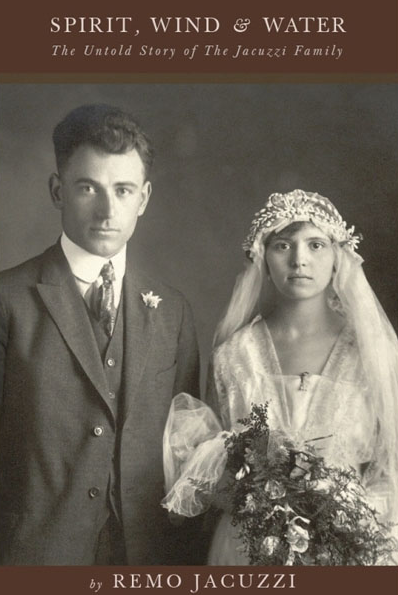 His motivation comes from a deep desire to honor to the values and philosophy which led to the development of the original family business. This desire eventually led him to publish "Spirit, Wind and Water" in 2007.